Consumers who buy a car, boat, or R.V. that proves to be defective may then seek repairs, reimbursement, or a replacement vehicle. In doing so, they would rely on federal and/or Florida laws designed to protect people who are sold a "lemon"--i.e. a vehicle whose defective condition "substantially" impairs its safety, use, or value. Florida's "Lemon Law" (the Motor Vehicle Sales Warranties Act) applies only to new vehicles; however, the federal Magnuson-Moss Act applies to used vehicles, as well. When a dealership sells a vehicle to a consumer, both express and implied warranties are usually involved. Most of those warranties come from the vehicle's manufacturer, rather than from the dealer. Because of that, manufacturers are often required to defend dealerships against lemon law and Magnuson-Moss claims; manufacturers may also have to indemnify dealerships if dealerships suffer losses as a result of such claims. The dealer, however, may not always be off the hook: for example, if a dealership's representative knew that the buyer intended to buy the vehicle for a particular type of use, and warranted that the vehicle was fit for that use, the responsibility for any breaches of that warranty would remain with the dealership, rather than move up the transaction chain to the manufacturer involved. If your Florida dealership is faced with a Lemon Law claim or in need of Magnuson-Moss defense, you should immediately contact a Florida attorney experienced in dealership defense matters. In such circumstances, the attorneys at St. Denis & Davey, P.A. would begin by thoroughly investigating the claims, including any evidence of warranties allegedly provided by dealership representatives. We would also determine whether the claim was brought within the appropriate timeframe specified by law. In most cases, we would then make a timely and appropriate request to the manufacturer involved, prompting the manufacturer to assume our client's defense. The experienced dealership defense attorneys at St. Denis & Davey, P.A. are well versed in protecting the dealership in such cases. 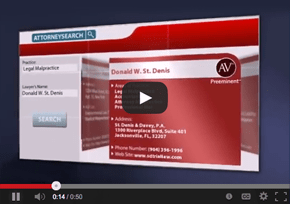 With offices in Jacksonville, Tampa and Miami, Florida, the attorneys of St. Denis & Davey, P.A. offer decades of combined experience in handling dealership defense matters. We have prevailed in lawsuits brought by some of the best-known plaintiff consumer litigation firms in the country, and we take pride in reaching the best possible result for each client, promptly and efficiently. 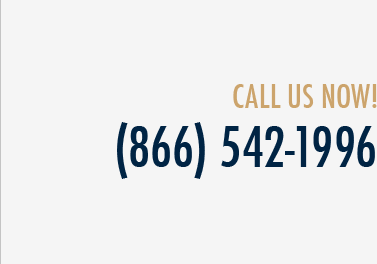 For more information regarding the defense of Florida Lemon Law or Magnuson-Moss claims, please call St. Denis & Davey, P.A. at (866) 542-1996, email info@sdtriallaw.com, or fill out and submit our online "Contact Us" form.